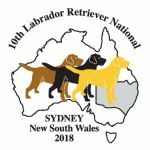 History of the Labrador Retriever Club of NSW Inc. The original minute book of the club, states that a meeting was held on 14th June 1957 with a view to forming the Labrador Retriever Club of NSW. The object was to keep the Labrador Retriever before the public in the State of NSW. It was also noted that the “Seeing Eye Dog Movement” wanted the club’s support. The first club Field Trial was held on 3rd May 1959 and the first Championship Show on 7th June 1959. Over the next 54 years the club enjoyed great support from Labrador owners and for a period membership exceeded 300. Today we conduct a Double Championship Show in May and 4 Retrieving Trials each year.